The NordBord's sensors are precision force transducers, designed for taking accurate measurements at high levels of force. 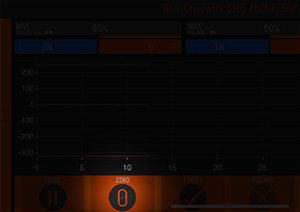 However, like all precision instruments, they must be used correctly in order to ensure accuracy and prevent damage. 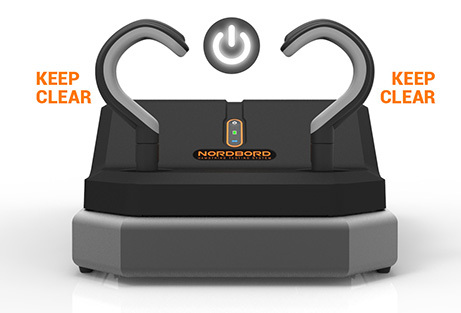 This article and the video below contain information on how the NordBord's sensors work, and how to ensure you get the best out of them every time. 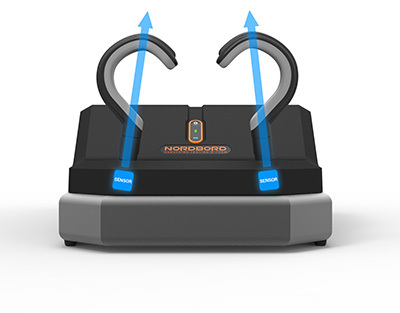 The NordBord's sensors are "uniaxial", meaning they are designed to read forces in-line with the NordBord's Ankle Hooks. 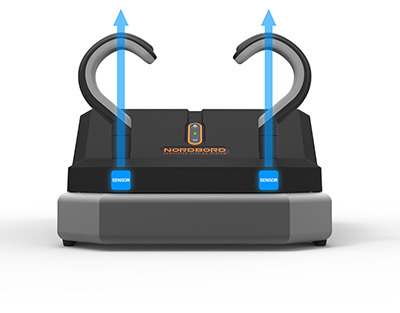 The NordBord allows its sensors to pivot, meaning they can self-align the Ankle Hooks to match the line of pull, thereby increasing accuracy. However, if the Ankle Hooks are pushed or knocked forcefully into the sides of their sockets, this can exert excess bending forces on the sensors. 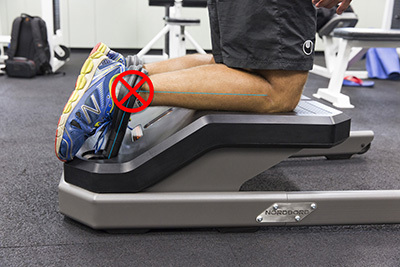 For these reasons, it is important to ensure that the Ankle Hooks are kept upright while testing and whenever there is force being applied to them. 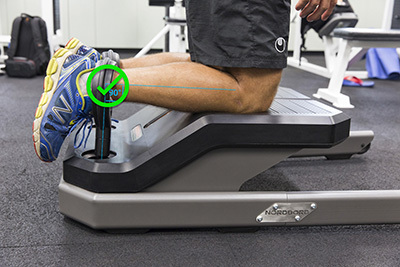 A rough guide is to keep the Ankle Hooks at 90° to the Player's lower leg during testing. 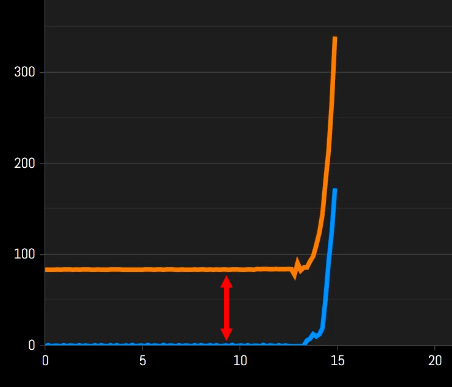 It is important to ensure that the NordBord's sensors are "zeroed" (otherwise known as "taring") before conducting a test, otherwise results can be skewed. 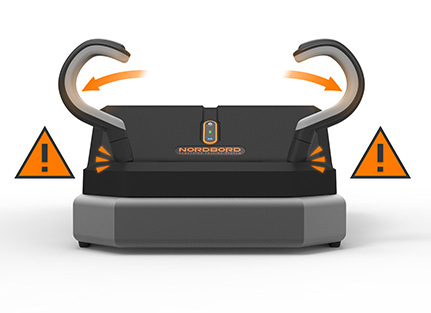 The NordBord zeroes itself during startup, so when pressing the Power button, ensure that nothing is touching the Ankle Hooks. 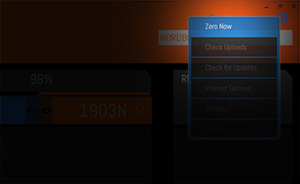 Important note: keep clear for 3 seconds after startup to ensure that zeroing is completed. 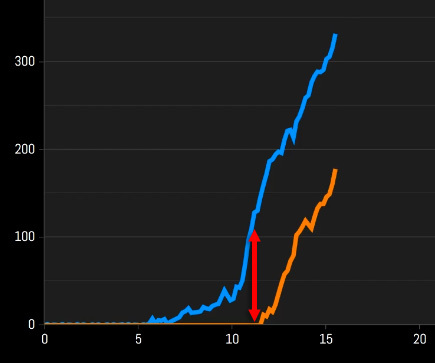 If you notice what appears to be a Negative Offset or Positive Offset, zero the sensors immediately.